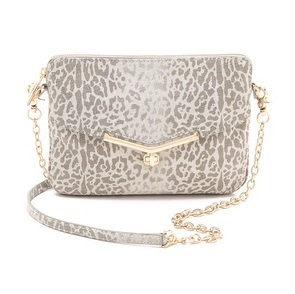 A faded Cheetah pattern adds subtle exotic dimension to a textured suede bag from Botkier. The turn-lock flap conceals a slim pocket in front, and the zip top opens to a lined interior with 1 pocket. Detachable chain strap can be worn over the shoulder or cross-body. Dust bag included.